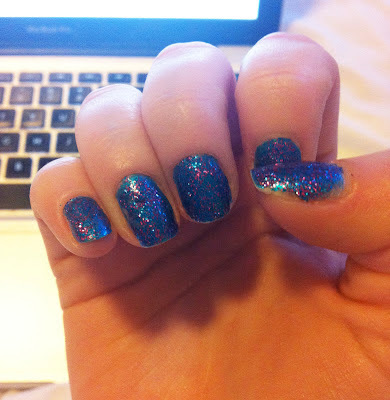 I'm always a little hesitant about buying glitter polish, purely because it is such a hassle to remove. Even with the Bourjois Paris Magic Nail Polish Remover to help me along, the polish needs to be extra special for me to decide to go against my initial feelings and try it. 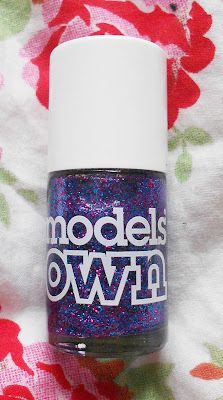 After seeing it on a lot of llymlrs' posts, I decided that Models Own Disco Mix could possibly be the polish that would encourage me to love glitter again. 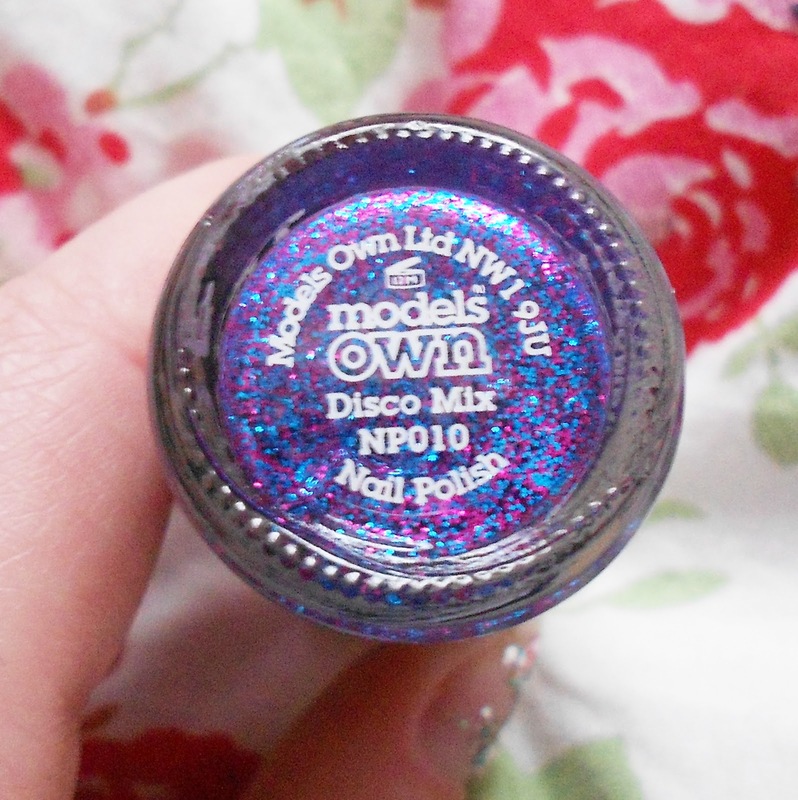 I'm such a huge fan of Models Own polishes, purely because there is such an enormous variety of not just matte colours, they have a wide selection of chrome finish, shimmers, glitters, metals, crackle and of course, all the colours you need for a perfect french manicure. This colour is just so gorgeous, I had to have it. With flecks of blue, purple and pink, it looks incredible when the light hits your nails and can be worn over the top of so many different colours. 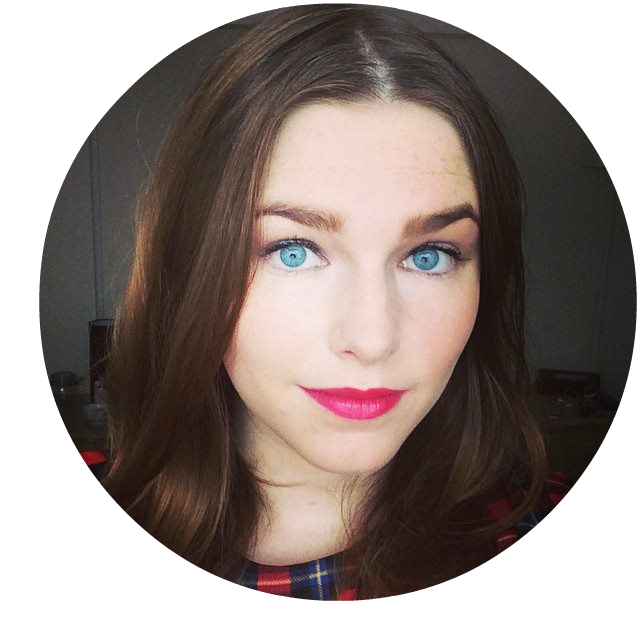 First off, i'm sorry for the bad quality of the picture. I took it with my iPhone a few days after I painted them and then forgot to take another one with my actual camera before taking it off! My nails were in a really bad condition then because i'd just had my acrylics taken off, but as you can see i've teamed it with a gorgeous dark blue (From the Rimmel I <3 Long Lasting range) and I really like how it turned out. The polish itself is neither gloppy or messy, and two light coats is certainly enough to coat an already painted nail, but one more coat would have covered it completely (it's not good to go over 3 coats, otherwise your polish is too thick and you'll be able to peel it straight off with your fingers!). It's perfect for adding a touch of sparkle to a plain outfit - I like to wear glitter polish to work as my uniform is all black, boring! It also dries extremely quickly, which is an added bonus for people like me that are too impatient to wait around! 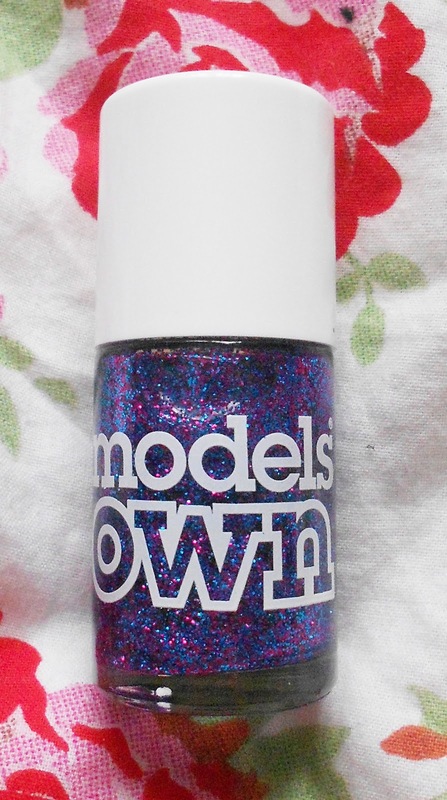 You can purchase Models Own Disco Mix for the bargain price of £5 at your local Boots, Models Own shop or online here. If you like this shade as much as I do, you could win it along with another shade of your choice, a Tangle Teezer, Revlon Colourburst Lip Butter in a shade of your choice, and another little surprise in my first giveaway! Simply click this link to find out how to enter. Good luck! I like it though. I know when you take the acryllic off how the nail bed can look damaged from experience, but this polish looks good over it.